I’ve been on the fence about wearing the APPLE WATCH or any technology on my body, I’m just not sure research is conclusive as to how it might affect body chemistry and aesthetically I didn’t like how the initial watch looked. But my BFF received an Apple watch for her birthday and while she admits it doesn’t live up to all the hype, she has found it useful in meetings when she doesn’t want to be rude by picking up her phone to check messages, she can simply glance down at her wrist instead. 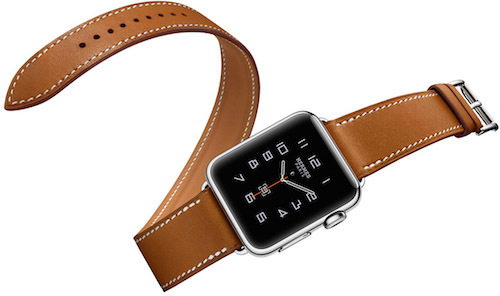 And this version with the Hermes leather band is definitely more chic than geek.